The largest mobile STEM lab of its kind in the country will be touring Maryland schools to help drive student interests in STEM. The 53-foot Mobile eXploration Lab, or MXLab for short, will deliver hands-on biology, chemistry, environmental science and other STEM experiences to high schoolers. The MXLab is about 1,000 square feet and can accommodate up to 40 students. It is equipped with all the necessary tools to give young scientists real-world experience. For example, one experiment on gel-electrophoresis has students make a gel to separate different DNA molecules. At a recent open house, students were invited to learn about DNA, biofuel and lactase, according to a video tour of the mobile lab. Technology in the new mobile lab includes six touchscreen flat panels, internet and more tools that enable hands-on STEM learning. Image Credit: MdBio Foundation. 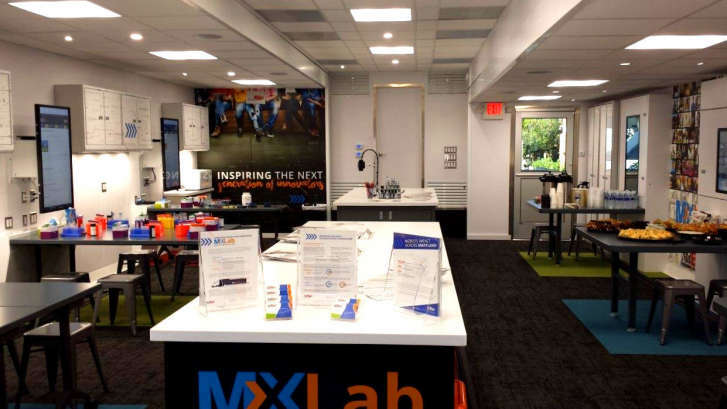 The MdBio Foundation, a Maryland-based nonprofit that runs the MXLab, said it took about four years to design and 18 months to build. It was created in collaboration with Triune Speciality Trailers, a specialty manufacturer of custom expandable trailer solutions. Curriculum: Bioscience, chemistry, data set modeling, cybersecurity and game-based learning. 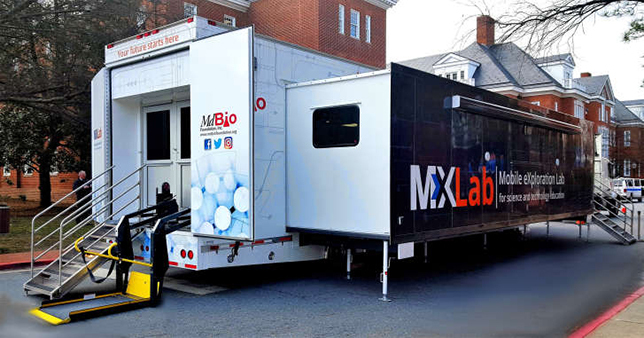 The nonprofit previously launched the MdBioLab, a custom-built mobile laboratory that has served more than 150,000 students throughout Maryland since hitting the road in 2003. The MdBioLab is the founding member of the Mobile Laboratory Coalition, “a national network of mobile science laboratory programs with a common vision and shared curriculum to inspire an appreciation and knowledge of science and scientific inquiry,” according to its website. The coalition’s 29 members in 18 states and two countries outside of the United States have altogether reached more than 1.2 million students and 16,470 teachers worldwide. Since 1997, the MdBio Foundation has been providing STEM education to communities across the state. The MXLab will begin service for the 2017-18 school year and travel to 35 different high schools (spending one week at each site), reaching about 10,000 students. A video tour of the STEM-mobile can be watched below. Further information is available on the MdBio site.